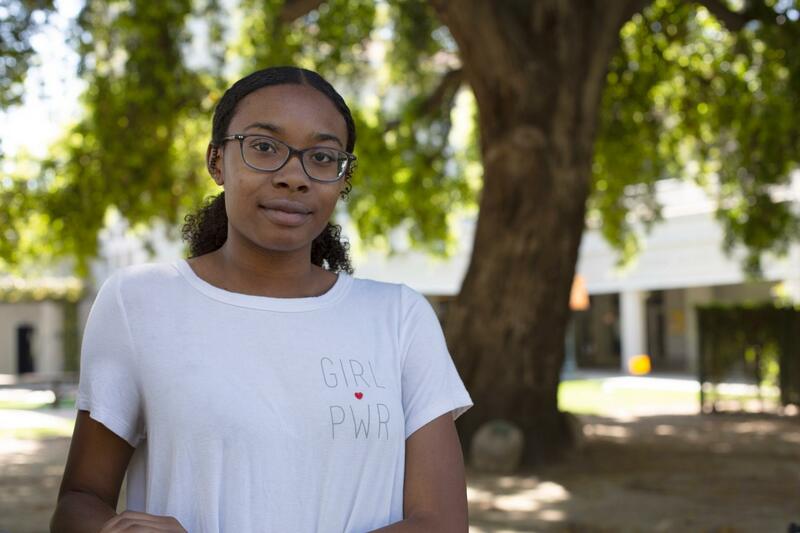 University of La Verne’s Dyamond Gray, a second-year English and Spanish major, has been awarded the Newman Civic Fellowship, a national honor that recognizes students committed to finding solutions to community challenges. Nominated by University President Devorah Lieberman, Gray is one of 200 students in the United States to receive the honor. Through the one-year fellowship, Gray will participate in professional conferences, apply for scholarship opportunities, and have access to a network of community-driven individuals. Gray currently serves as vice-president of the Language and Culture Club that supports cultural diversity and communication among students. In addition, she helps her classmates as both an English and Spanish tutor in the university’s Academic Success Center. The fellowship is named in honor of Frank Newman, one of Campus Compact’s founders, and is supported by the KPMG Foundation and by the Newman’s Own Foundation. Gray aspires to work as a school administrator, an educator and/or a Spanish language translator. She plans to pursue her master’s degree following her undergraduate program at the University of La Verne. To learn more about the fellowship, visit compact.org/newman-civic-fellowship.